Technical analysis is the most important topic for any one working in stock market. It is a must learn for all the Investors & Traders, professionals. Technical Analysis Course is a must learn module for all Investors, Traders, Students, Professionals and for all those who are trading in the stock market. This also an important module of NSE – NCFM Series and all working Professionals must have its knowledge RM’s and all those working in the stock market/share market must have an understanding of charts and is a must learn. All the important tools like bars charts, candles charts, line charts, oscillators and higher tools are covered and explained in the most simplistic manner. After completing this course students can apply for different career avenues like independent research house, advisor, pro trading, institutional broking, retail broking, mutual funds, hedge funds, portfolio managers, and more. ■ Understanding meaning of Long Term , Medium Term , Short Term , through Live Market Examples. ■ Trend lines on different time intervals. Applicability of Indicators or tools in Live Market. “Technical Analysis” course videos are for educational and information purpose only. Please refer our website for course details. We advise you to understand the strategies well and use your own discretion to use them in live markets. Paper trades initially suggestive. Trading of Stocks is subject to Market Risk, users use their own discretion to trade in Live Market. IFMC is not responsible for any Loss or Damages of any kind to the student/client. 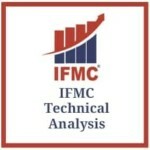 Technical analysis is the most important topic for any one working in stock market. It is a must learn for all the Investors & Traders, professionals. Technical Analysis is a method to predict the prices based on demand and supply. It is study of charts and indicators which simplifies the trend analysis. Different tools in Technical analysis help us to predict the price movement of any stock. Knowing Technical analysis deeply and thoroughly helps Investors & Traders to get best out of the market.